The no dating rule is something a lot of us simply accept as idol fans. While it's more common amoung female idol groups, there are some male idol agencies that also have this rule or at least have some restrictions or guidelines (such as not being seen in public with the person they're dating etc.). On the one hand it does make sense. A big part of the appeal of idols is that they appear 'available' to their fans. Not gonna lie, I often kid myself into thinking that Nishioka Kengo would totally fall head over heels in love with me if only it weren't for the distance and the fact that he's an idol keeping us apart. Knowing that your favourite idol actually has a girlfriend can kind of ruin that illusion. It's also a matter of keeping everyone involved safe as some idol fans have been known to get a little possessive of their idols, leading to some dangerous situations. But then sometimes you get to hear the opinion's of those who aren't as 'desensitized' to the whole concept and it makes you take a step back. Remember a few years ago when AKB48 member Minegishi Minami was found out to have slept with a man against the agencies contract, and she ended up shaving her head and making a very tearful apology video? The scandal ended up making it into a few mainstream news outlets in other countries, probably being a lot of people's first introduction to Japanese idol culture. People's reactions did make me see things in a new light. How moral is the 'no dating rule' really? There is literally no other job I can think of where it would be acceptable for your employer to dictate your romantic relationships, so why is this okay for idols? I guess it reinforces the idea that people often expect idols to be like 'blank slates' almost, that fans can bend to their will and project their own desires onto without taking into account the actual idol's feelings. What led me to write this post now of all times? 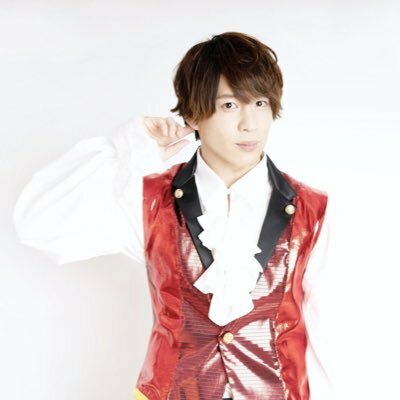 Well, just last month it came to light that a member of underground male idol group Amatou Danshi had gotten married in secret. It was clearly stated in the agency's contract that no relationships are allowed, yet Muroi Kazuma had been dating this woman for some time and they eventually decided to elope. The really strange thing about this situation though is that instead of simply firing him, the agency at first decided to put his fate in the hands of fans by asking people on Twitter to vote in a poll about whether or not they thought he should be fired. Personally, I can see it from both sides. The morality of the 'no dating rule' aside, my 'logical' side says that he chose to sign that contract and he also chose to break it so there should be some kind of consequence for his actions. If he's not completely fired then he could at least be demoted or something. The romantic in me however just finds it sweet that he found someone he loves, and why should he have to give up what he likes to do because of that? Maybe the agency should take this as a wake up call to change their restrictive rules. Many of his fans don't seem angered or 'betrayed' by this at all, and just want him to stay as a member of the group simply because he makes them happy and they love to see him perform. The agency eventually realized the ridiculousness of leaving everything up to a Twitter poll (Seriously, even holding a vote at one of their lives or something would've been better than a poll that literally anyone can vote on whether they're a fan of the group or not) and decided to come to a conclusion themselves along with the members, and it seems that Muroi Kazuma will remain a member of Amatou Danshi. But what do you think? Do you think the no dating rule for idols is fair? Do you think Muroi Kazuma should've been fired or were the agency right to let this one slide? Let me know in the comments! i remember seeing a gifset of an idol a while back, and she was talking to a crowd of her fans like, "are any of you single??? well, so am i, because i'm not allowed to date!!!" I do think idols should be able to have their own private lives and because I like my favorite idols I want to see them happy so if dating makes them happy then that's fine. BUT for me the major problem isn't the dating itself but what happens after dating... Because break ups can be seriously messy and a lot of bad things can come out and really ruin the idol's reputation whether they're true or not. I've had a few guys ruined for me not because they dated or got married but because they cheated on their wives/girlfriends.